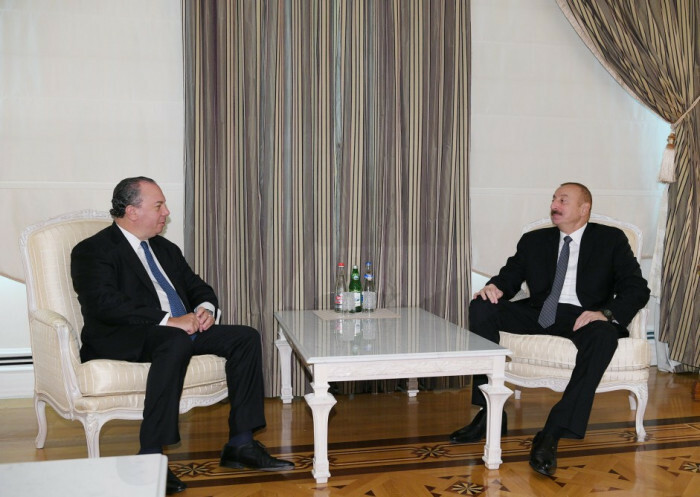 President of the Republic of Azerbaijan Ilham Aliyev has received President of the US-based Foundation for Ethnic Understanding Marc Schneier on Oct 8, AzVision.az reports. Recalling the meeting held in US with Marc Schneier, the Azerbaijani President Ilham Aliyev stated that ll the conditions have been created for peaceful coexistence and peaceful coexistence of representatives of different nations and ethnic groups, including the Jewish community. The sides noted that bilateral relations between Azerbaijan and the United States are developing successfully and the US-based Foundation for Ethnic Understanding contributes to this work.